Yes, after last weeks off the charts high humidity, rain and unseasonably warm weather, this week has been downright pleasant but still not quite what you expect. But hey, it was still nice ! 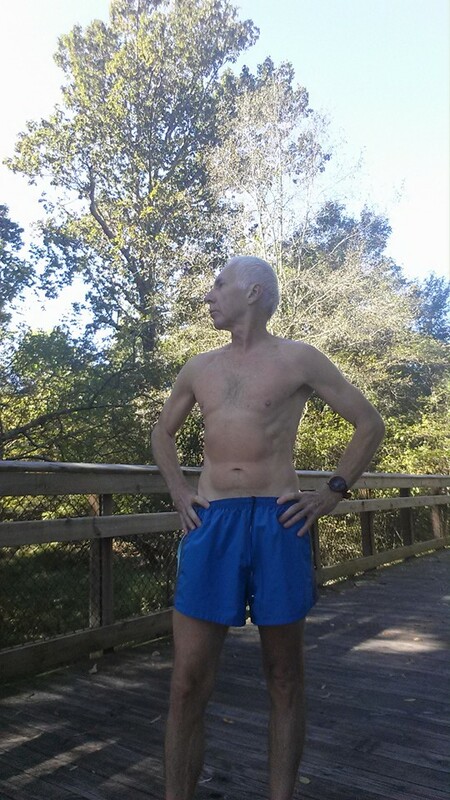 I got off to a great start, expecting to be tired from last Sundays long run but instead I had a really good 6 miler at home Monday. On Tuesday I went back to Umstead at the same time of day and ran the same route as last Tuesday. Wow, what a difference ! Just because of the much lower humidity I was a full 3.5 minutes faster and instead of dying on the last uphill mile I crushed it ! 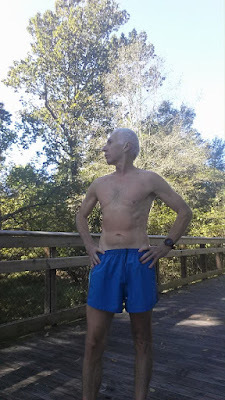 Wed and Thurs were just more easy miles but I felt good although Thursday got hot and the humidity had crept back up. And then there was Fun Friday ! Yay ! I met Laura at the same 6:30 but for the first time in two weeks it wasn't raining ! Here is how I described the run in a facebook post. "We start of slowly or it seems so. I look up at the crystal clear sky with the crescent moon and Venus lighting our path and it makes me smile. That warm up mile is a full minute faster than my normal. And then it is time to work and we hit the lap button and up the pace. She soon says it is too quick but we hold pace and nail the first split. Then surprisingly the recovery is at my current marathon race pace. The next several repeats are magical. Everything clicks, my stride is smooth and the breathing is strong and even as I am in the zone. We even share some laughs as each interval is faster than planned. 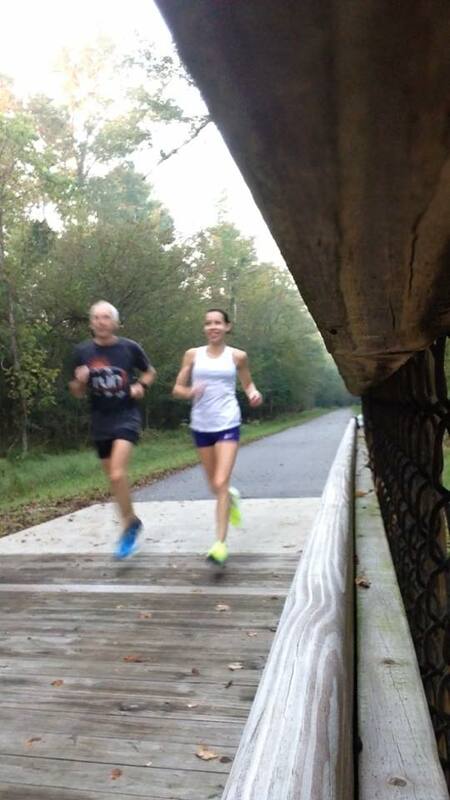 And then we cooldown enjoying the conversation and I notice our cooldown 1.5 miles is at my marathon pr pace. We finish and high 5. Another quality workout in the log book. And I see it is over 1:40 seconds faster than I have ever run this 6 mile route"
I was almost planning to take off Saturday but I felt good and had a great 6 miler from home. I have a race next weekend so instead of doing a long run I wanted another shorter quality effort so I planned a turn and burn 10 miler. It was nice a cool at the start but I didn't have the zip I wanted on the easy 5 going out although I did feel ok and the pace was alright. Funny thing was I didn;t really start to feel good until I got mad at mile 7 and really picked up the pace and ran strong over the last 3. Negative split by 5 minutes ! So, another great week in the book with 46 total miles. Stay tuned and we'll talk more about the upcoming racing soon ! Danville Half Marathon and a great training week.